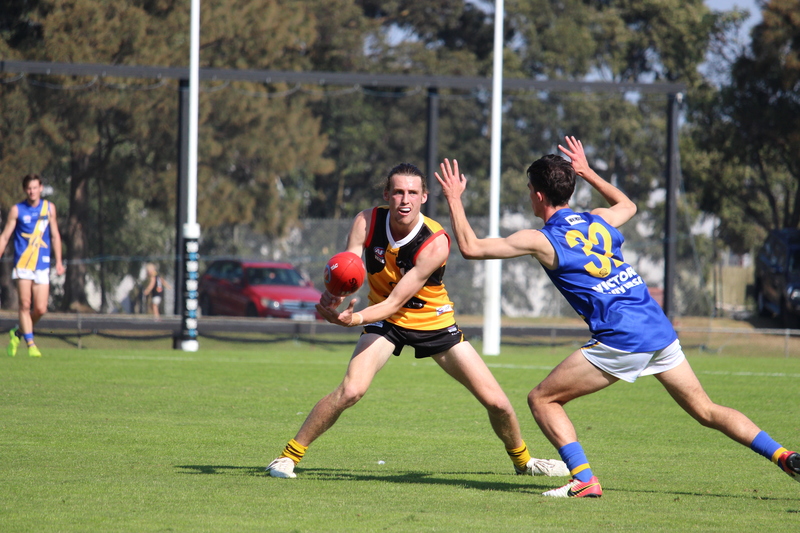 SUMMARY: Lachlan Young is an over-age prospect who came back to the Stingrays and showed strong desire throughout the TAC Cup season playing in the defensive half. He played a team-first game with competitive efforts and using his good endurance to wear down opponents and remain composed with ball-in-hand. He averaged a rebound every four disposals, which showed the majority of his touches were mopping up in defence. He did it well, kicking at 63 per cent efficiency, and while he only averaged the 12.5 disposals per game, he made the most of his touches in dangerous areas. Young also averaged just the 1.3 tackles per game in 2018, which was another area of improvement for him, but his strengths show why he has attracted club interest this year.